Hello there. 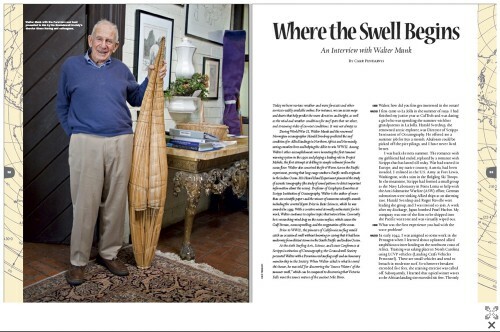 Recently I’ve been honored to assist Dr. Walter Munk with another project, a new edition of Where the Swell Begins. Walter is the greatest oceanographer of all time, and is also inspiring with how kindly he lives his life. 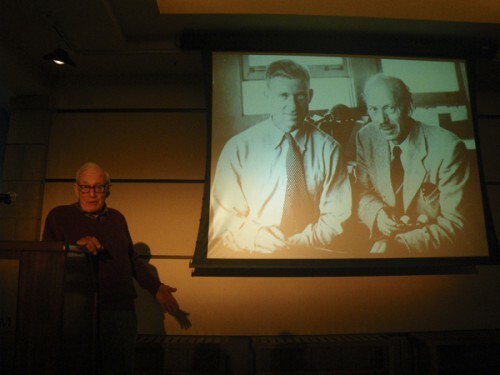 Walter continues his passion for his research well into his 90s. 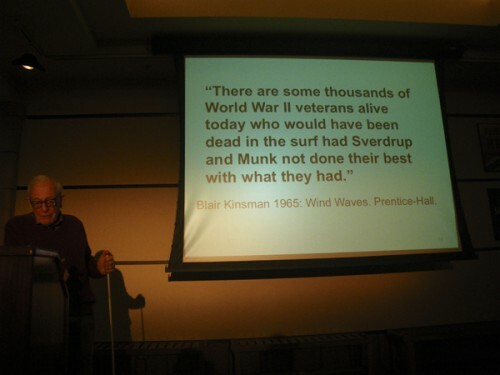 Over the last several months, I helped Walter with the text, sharing a surfer’s perspective, and took supporting photos for some of the slides. 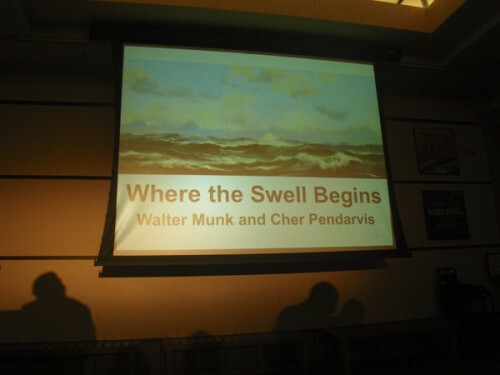 The work with Walter inspired two new seascape paintings, which Walter presented as the opening and closing slides. 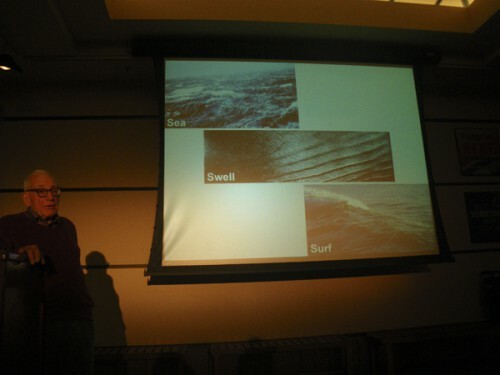 On October 8, Walter presented Where the Swell Begins at Birch Aquarium in La Jolla, California. The Birch Aquarium is the interpretive center for Scripps Institution of Oceanography. 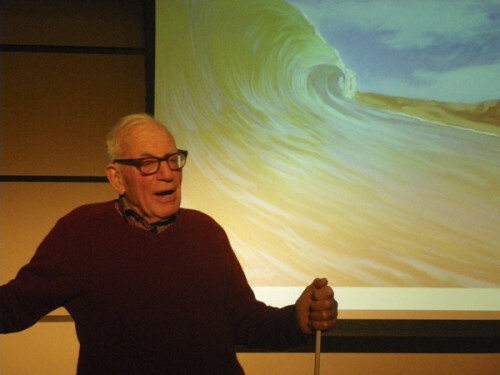 A story and interview that I did with Walter Munk is featured in The Surfer’s Journal issue 18.6. The interview is an earlier version of Where the Swell Begins. Thank you for visiting. Aloha and Cowa-flexit! Doctors Munk and Sverdrup helped save thousands of lives during WWII. 2 Comments on "Where the Swell Begins"